A 10 mm wide band in the natural tungsten colour. 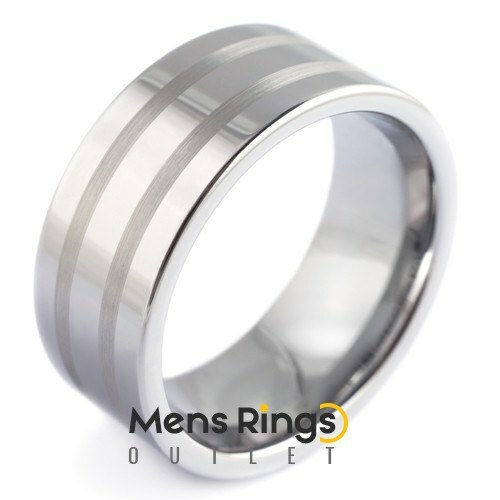 Mainly polished ring with 2 brushed stripes across the entire band. This bold and beautiful band features a 10 mm wide band in the natural tungsten colour. It’s predominantly a polished ring accentuated by the 2 brushed stripes across the entire band. Buy the wide striper if you like a wide band, don’t want a fully polished ring, and want to gain more oomph!